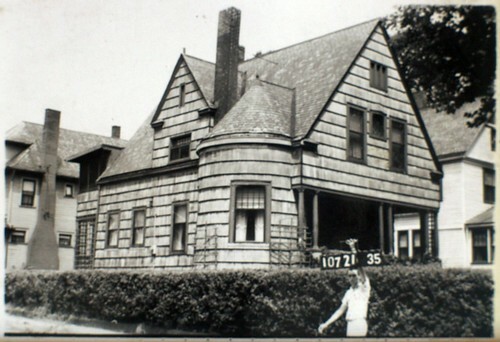 Cleveland Area History: Historic photos of your house! 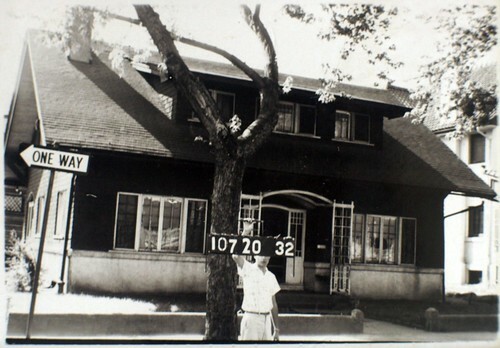 Historic photos of your house! 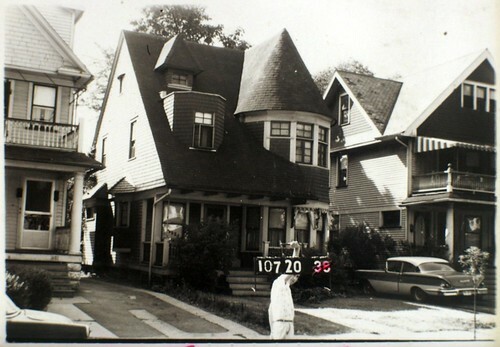 In the 1950s, the precedessors to the Cuyahoga County Auditor went through the county and photographed every single house, for tax valuation purposes. These photographs, about 1.5" x 2.25", were glued onto cards that described the size of the property, its amenities, and condition. At some point, these cards were transferred to the Cuyahoga County Archives, on Franlin Avenue, in Ohio City. Not every card is present. Some are missing, and on some, the photographs have fallen off. Still, they are a valuable record of the built environment of this area. A few months back, I went to the County Archives to research my own house. While I was there, I started looking through the photographs of the Hough area, where I work. I put my camera on a tripod, used a piece of cardboard to line up the photographs so that I didn't have to keep looking through the viewfinder, and started photographing them. In the space of two and a half hours, I was able to photograph about 330 of them. This is the result. The photographs were grainy to begin with. A six megapixel digital camera captures virtually all of the information present in the original photograph. A little bit of post-processing, and they're ready to share. If you do make it down to the Archives, it's worth taking the time to look at your neighbor's houses, too. The property cards are in order of parcel number, so you should verify your neighbor's parcel numbers beforehand - they aren't necessarily numbered sequentially with yours. 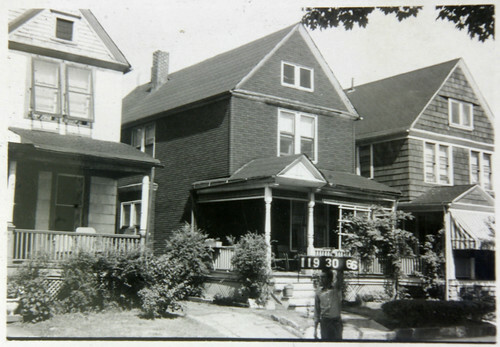 As an example, take this, the house that Langston Hughes lived in during his sophomore and junior years of high school, from 1917 to 1919. 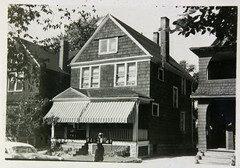 It is located at 2266 East 86th Street, in the Fairfax neighborhood of Cleveland. 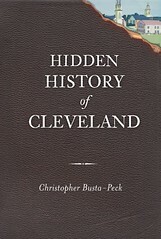 It has recently been nominated as a Cleveland Landmark. The Fairfax Renaissance Development Corp. is in the process of rehabilitating it. Now look at the photos of the houses of his neighbors, to the south and north, respectively. 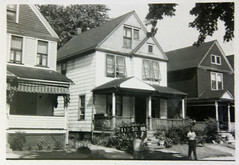 These photographs reveal parts of the Langston Hughes house not shown in the photo for 2266 East 86th Street. 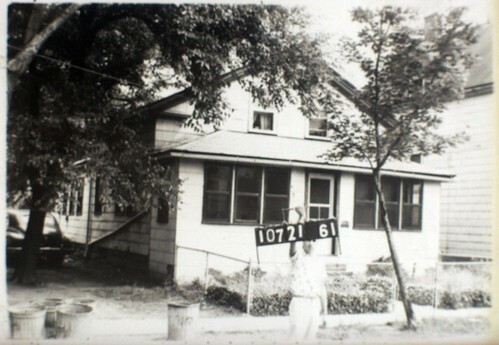 Each photograph includes someone holding a sign that displays the parcel number of the house in question, as shown here, at 1621 Holyrood Road. This is quite helpful. It makes it possible to just digitize the photographs, without having to record the caption information. It's also quite helpful when photographs have become unglued from the property cards - it makes it possible to figure out which card they ought to be reattached to. These images can be especially useful in the cases like this house, where exterior modifications have been significant. They are also quite useful in a neighborhood like Hough, where at least half the houses present in the mid-1950s have been demolished. These photographs can help paint a picture of the neighborhood as it was. 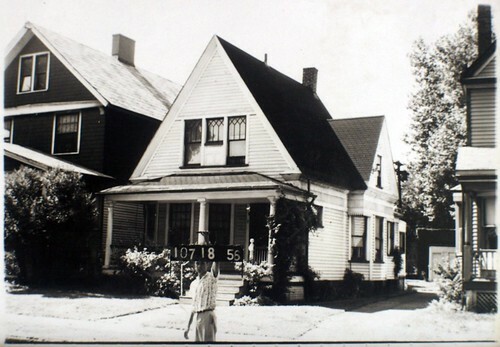 You can use a set of photographs to document what a whole block used to look like. 9214 Edmunds Avenue - demolished. The house appears to have been built in the 1870s, at 1861 East 90th Street. It was moved to this site in 1909. An apartment building was built at the location on East 90th Street shortly after. 1618 Ansel Road - standing. 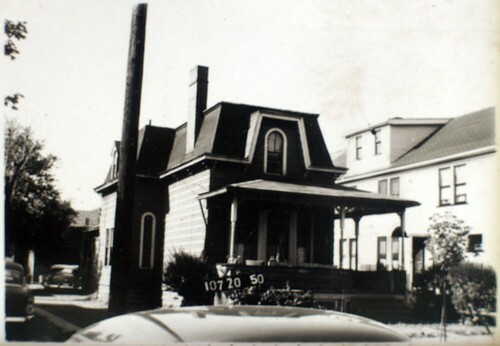 The house was built in 1892 for George Richardson, a local real estate developer. It was sold soon after to Elah French, who lived in it with his wife Adelaide. Parcel 107-21-061 - demolished. A nice, little Greek Revival farmhouse. I would love to see more of these photographs digitized. There's no way any individual could possibly do this. However, if we were to each photograph some, we could eventually achieve this goal. 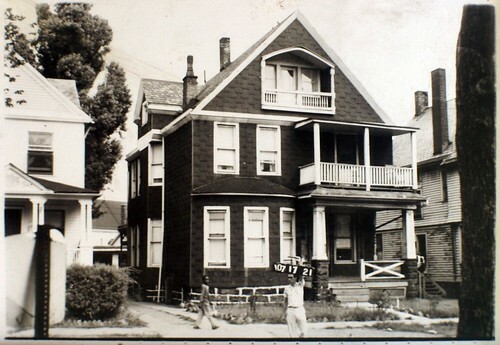 I found a photo of my house this way and it was invaluable as we were restoring the front porch!